David T. "Dave" Cliff FRSA FBCS CITP (born 1966) is a Professor in the Department of Computer Science at the University of Bristol and was formerly the Director of the UK LSCITS (Large Scale Complex IT Systems) Initiative. Cliff's early research was in computational neuroscience/neuroethology studying visual control of gaze and flight in airborne insects; in using artificial evolution to automate the design of autonomous mobile robots; and in studying the coadaptive dynamics of competitive co-evolutionary arms-races (e.g. between species of predator and prey). Cliff coauthored many papers with Steve Grand about the original Creatures. Cliff later invented the seminal "ZIP" trading algorithm, one of the first of the current generation of autonomous adaptive algorithmic trading systems, which was demonstrated to outperform human traders in research published in 2001 by IBM. Cliff attended the state-funded Segsbury School (now known as King Alfred's Academy) in Wantage. Cliff has a Bachelor of Science degree in Computer Science from the University of Leeds, with Master of Science and PhD degrees in Cognitive Science from the University of Sussex. His PHD thesis was called "Animate vision in an artificial fly : a study in computational neuroethology", which he obtained in 1992. Cliff spent the first seven years of his career working as an academic, initially at the University of Sussex UK and then as an associate professor in the MIT Artificial Intelligence Lab, Cambridge USA. Cliff's early research was in computational neuroscience/neuroethology studying visual control of gaze and flight in airborne insects; in using artificial evolution to automate the design of autonomous mobile robots; and in studying the coadaptive dynamics of competitive co-evolutionary arms-races (e.g. between species of predator and prey). 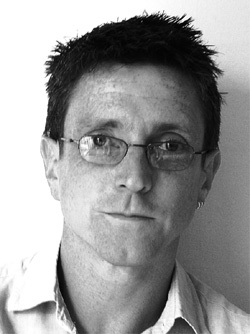 Dave Cliff is mentioned in the original Creatures credits as "Special Thanks To...", and he coauthored many papers with Steve Grand about the original Creatures, including Creatures: Artificial Life Autonomous Software Agents for Home Entertainment (1996) and The Creatures Global Digital Ecosystem (1999). In 1996, while working as a consultant for Hewlett-Packard Laboratories, Cliff invented the "ZIP" trading algorithm. In 1998 he resigned his post at MIT to take up a job as a senior research scientist at the HP Labs European Research Centre in Bristol, UK, where he founded and led HP's Complex Adaptive Systems research group. In early 2005, Cliff moved to Deutsche Bank's Foreign Exchange trading floor in London, where he worked as a director in Deutsche's FX Complex Risk Group. In late 2005, Cliff resigned from Deutsche to serve as a Professor of Computer Science at the University of Southampton. In October 2005 Cliff was appointed Director of a UK national research consortium, addressing issues in the science and engineering of Large-Scale Complex IT Systems (LSCITS): this £14m ($28m) research project involved approximately 250 person-years of effort over the years 2007-2014. In July 2007, Cliff moved to become Professor of Computer Science at the University of Bristol. The LSCITS Initiative shared much with the research effort in the USA directed at Ultra-Large-Scale Systems (ULSS). In 2011, Cliff and Linda Northrop (Director of the USA's Software Engineering Institute's ULSS Project) jointly authored a paper on the global financial markets as ultra-large-scale systems, commissioned by the UK Government Office for Science. Cliff is a regular presenter on the stage-show GCSE Science Live where schoolchildren, mainly years 10-11, watch presentations from well-known scientists. Other scientists involved in GCSE Science Live shows include Maggie Aderin-Pocock, Jim Al-Khalili, Richard Dawkins, Ben Goldacre, Steve Jones, Sir David King, Simon Singh and Lord Winston. In December 2013 Cliff presented a one-off TV documentary on BBC Four titled "The Joy of Logic". The programme explored the human quest for certainty and sound reasoning, and the development of logical machines and computers. In April 2015 "The Joy of Logic" won the top prize - Best International Film - at Europe's leading Science Film Festival, Academia Film Olomouc. It had previously been nominated for international documentary film/TV awards including a "Rockie" at the Banff World Media Festival and a Grierson Award in the UK (losing to Educating Yorkshire). ↑ http://www.ft.com/cms/s/2/6c259efc-f2be-11d9-8094-00000e2511c8.html Financial Times article: "Zippy agents going for brokers", July 13th 2005. ↑ Cliff, D.; Husbands, P.; Harvey, I. (1993). "Explorations in Evolutionary Robotics". Adaptive Behavior. 2: 73. doi:10.1177/105971239300200104. ↑ Harvey, I.; Husbands, P.; Cliff, D.; Thompson, A.; Jakobi, N. (1997). "Evolutionary robotics: The Sussex approach". Robotics and Autonomous Systems. 20 (2–4): 205. doi:10.1016/S0921-8890(96)00067-X. ↑ Cliff, D.; Miller, G. F. (1995). "Tracking the red queen: Measurements of adaptive progress in co-evolutionary simulations". Advances in Artificial Life. Lecture Notes in Computer Science. 929. p. 200. doi:10.1007/3-540-59496-5_300. ISBN 978-3-540-59496-3. ↑ http://www.ft.com/cms/s/0/b008c4c4-3226-11e1-b4ba-00144feabdc0.html Financial Times article "Flash crash threatens to return with a vengeance", December 29th, 2011. This page was last modified on 6 January 2018, at 23:04.